It all started 25 years ago in a little shed in the backyard. I think a lot of breweries have started like this. We worked over many years and through countless regulations to create our little piece of beer paradise. We would be classed as a Nano-brewery to most microbreweries, but this gives us the flexibility to produce and experiment with beer that other larger breweries are unable to replicate. Our beers are brewed traditionally. We use as many local, organic and raw products as possible, we grow some of the ingredients ourselves using organic principals. We use no chemicals at all in the brewery or the brewing process. We care about our environment and the food we eat and drink and we hope most people feel the same way. Our home grown beer range has been a great success. So this season we have increased our crop size to keep up with demand. It’s been a great season and we are set to havest our Wheat in January, Barley at the start of February and Maize in April. The Hops are producing a beautiful crop this year with the high rainfall and cooler conditions it’s going to be a bumper year…….. We’ve also extended our Hop Farm planting more varieties of hops including Saaz, Chinook, Tettnang, Golding and Fuggles, as well as our original planting of Pride of Ringwood. Sun is Shining – Great day for a Harvest!! Harvesting our Barley 2017 Crop. 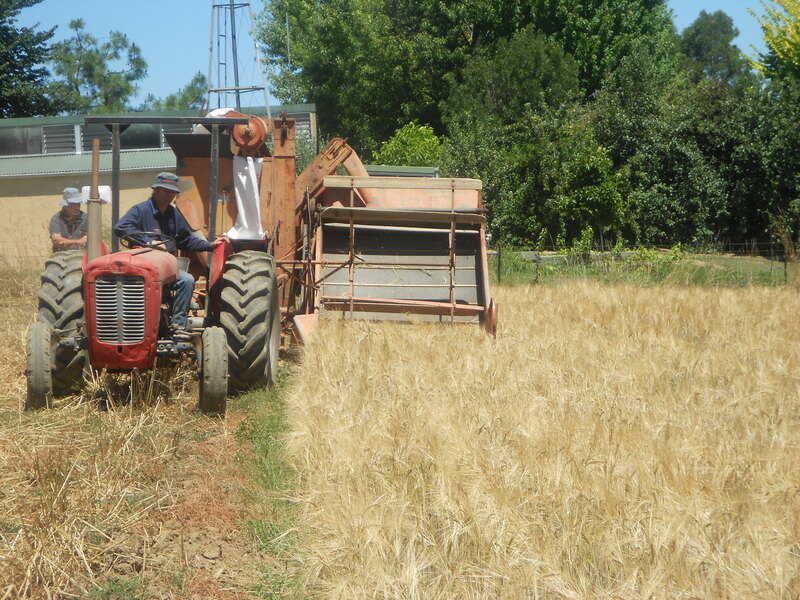 Very happy with the year and the yield – the old harvester worked like a dream. Just the Maize left to harvest for the Cream Ale. Thanks to our mate Andrew for helping out. Development of the Cream Ale has been interesting process. 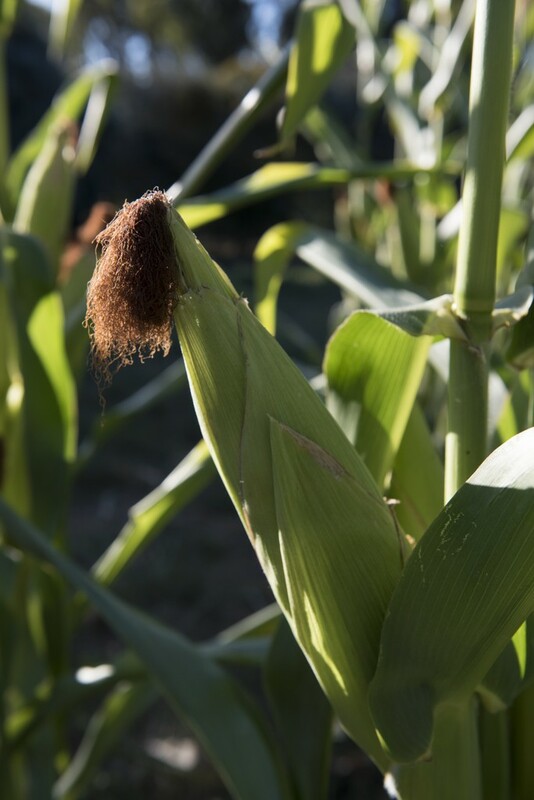 Finding the right corn to grown in Strathbogies climate. We have a short season and no irrigation but our search has paid off producing a beautiful healthy crop of corn. The corn is then de-cobbed and dried in an air dryer and stored ready to make beer. 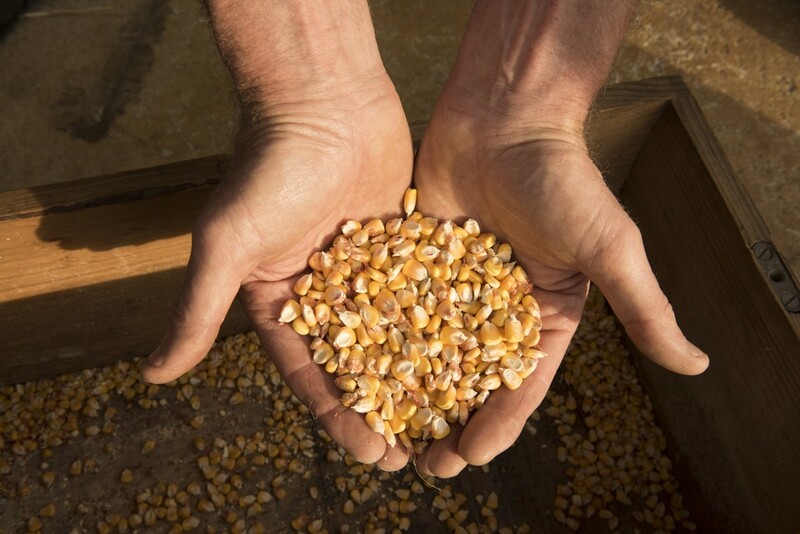 Our end goal is to make a Gluten Free Beer with the maize – so much to do so little time….